A non returnable deposit of £50 secures your holiday. 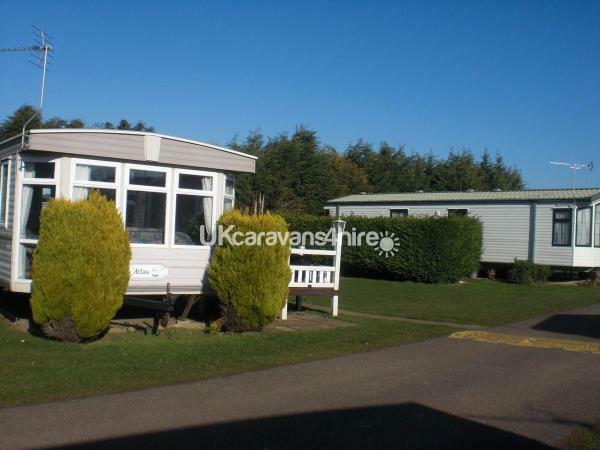 Our caravan is situated on the Balmoral area of Manor Park Holiday Village, Hunstanton. 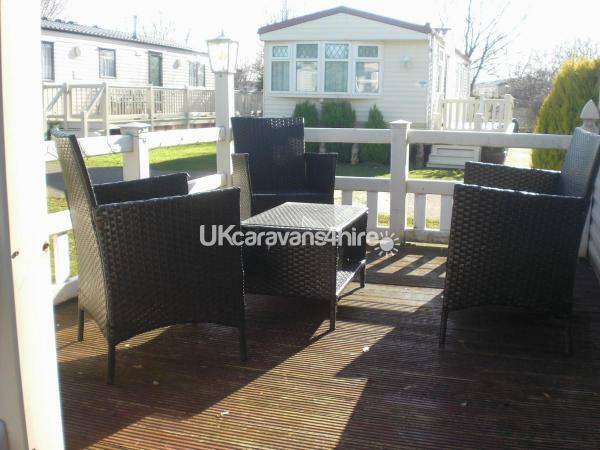 It benefits from a veranda on the sunny side of the caravan. 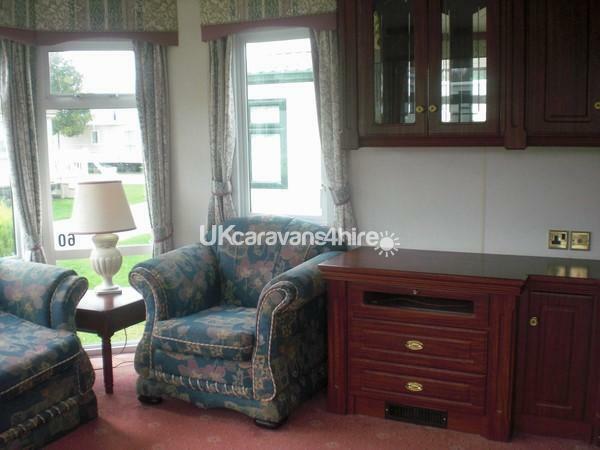 Our caravan comfortably sleeps 6. 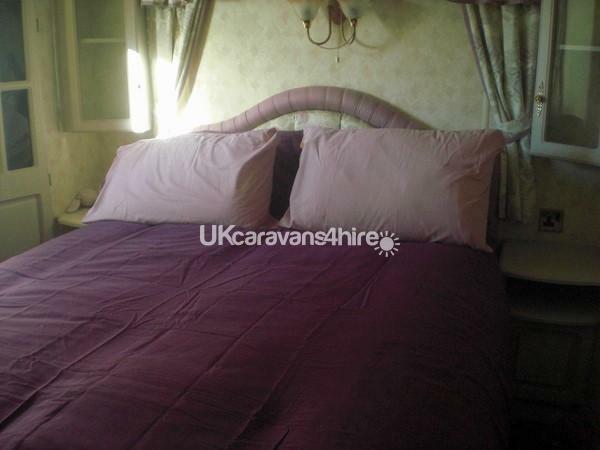 It has a large double bedroom furnished with a wardrobe, bedside cabinets, and a dressing table. 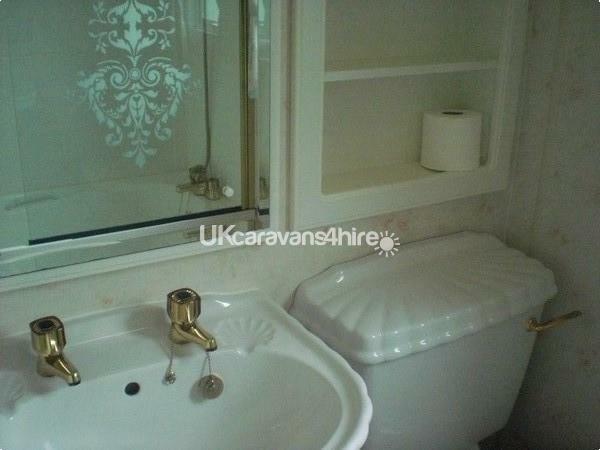 The double bedroom also has a further toilet. There is a further bedroom with two single beds and wardrobe. There is also outside seating and a coffee table. There is a very spacious comfortable lounge with built in seating. There is a 32inch TV and DVD player. A selection of DVDs is also available for your enjoyment. 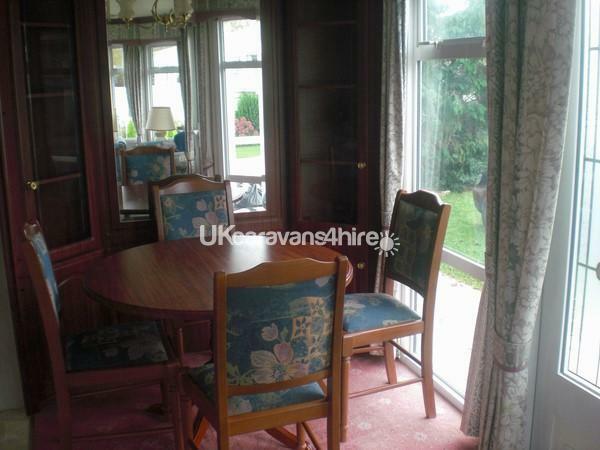 The dining area adjoins the lounge and there is plenty of room to comfortably seat 4 people. 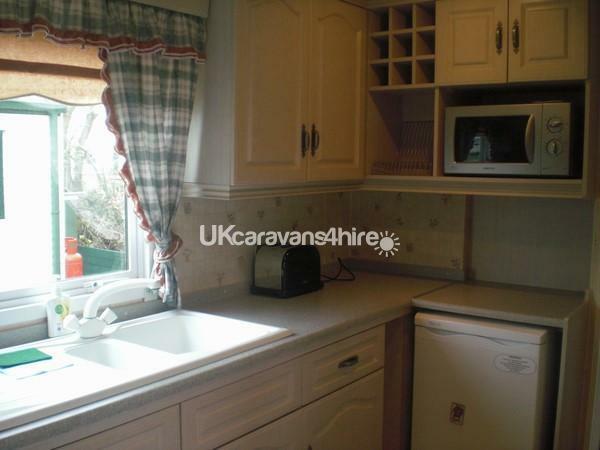 The kitchen is open plan from the dining area and is equipped with a microwave, toaster, kettle, cooking utensils and crockery etc. 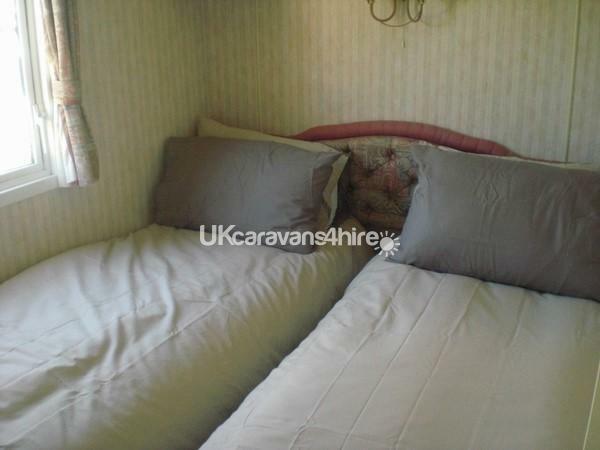 There is heating provided in the caravan for those colder evenings. All bedding is provided and tea towels but we ask you to bring your own hand/bath towels. Gas and electric is included in the price. 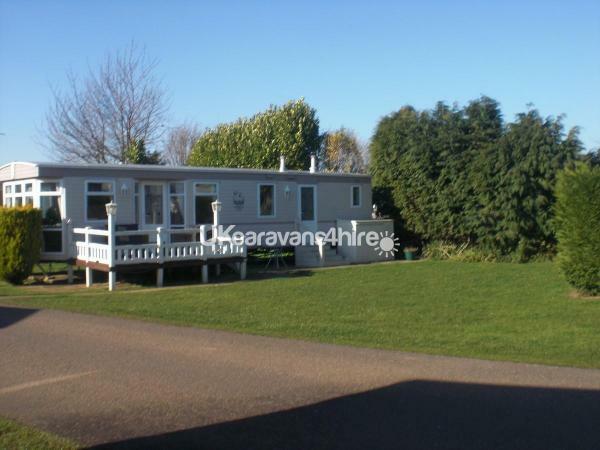 Wifi is available at the caravan and is purchased through Manor Parks Wifinity provider. There is a tourist information brochure at the caravan detailing lots of places to visit. On arrival you will find milk, tea, coffee, sugar and biscuits for you to enjoy whilst unpacking. We hope you have an enjoyable and fun holiday in Hunstanton and hope to see you again in the future.